All writers go through this. 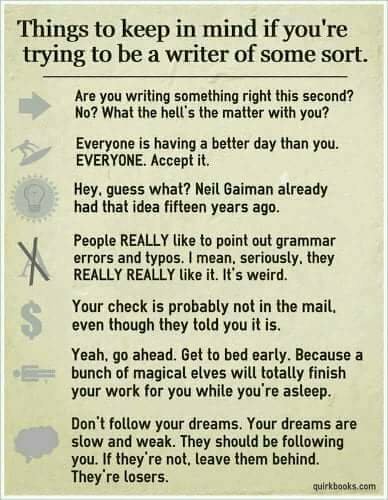 But your first draft is supposed to be crap. It’s where you get your ideas on paper. Too many writers dwell on perfection with the first draft and never finish the story. Just finish it. You can clean it up later. Hahaha 😂😀. I found this amusing. Happy writing.